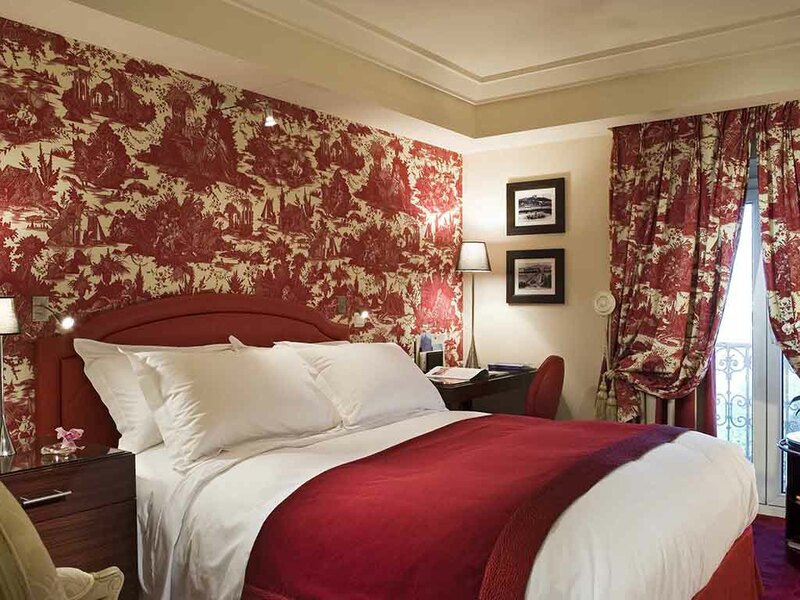 A unique 5-star hotel located in Place Bellecour, the Hotel Le Royal Lyon MGallery by Sofitel welcomes you to the heart of Presqu'île in Lyons, between the Rhône and Saône rivers. 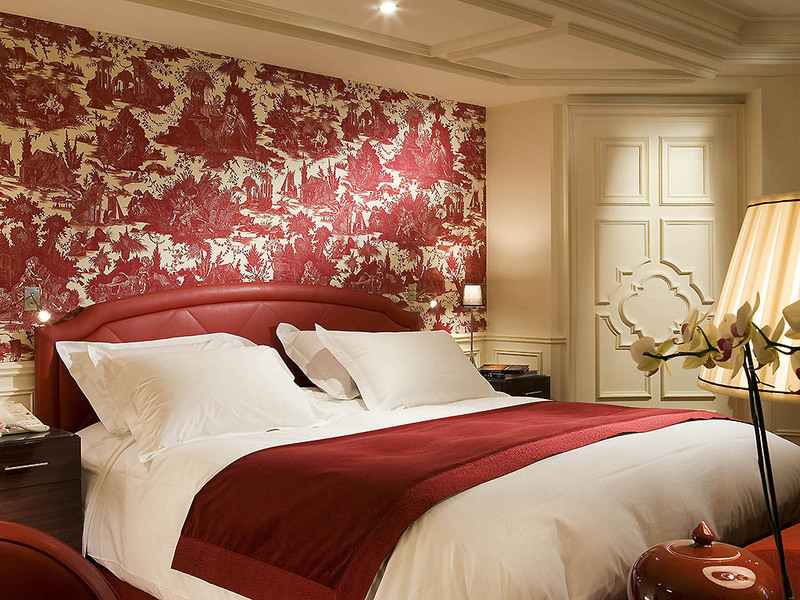 The charming Le Royal hotel offers 72 rooms, including 10 suites, that combine tradition and modernity, with classic décor that evokes an instant feeling of comfort and tranquility. Côté Cuisine, Côté Bellecour, and L'Institut Restaurant invite you to discover the culinary arts and the art of French hospitality. 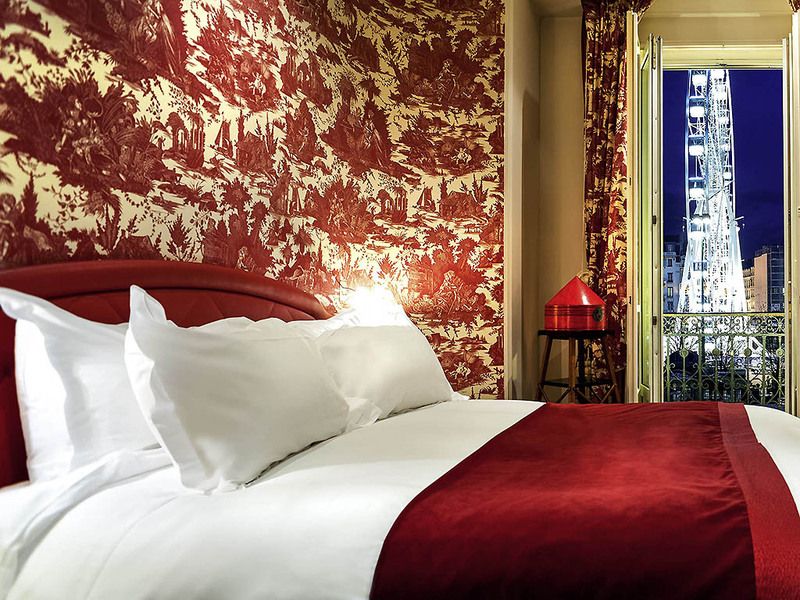 Since its opening in 1912, the Royal, located in the heart of the city, has been inspired by the large residences of Lyons. Each team member hopes you will feel at home here. Welcome to your home in Lyons .. Ideally located in Place Bellecour. The promise of a gentle start to the day... Make yourself at home. 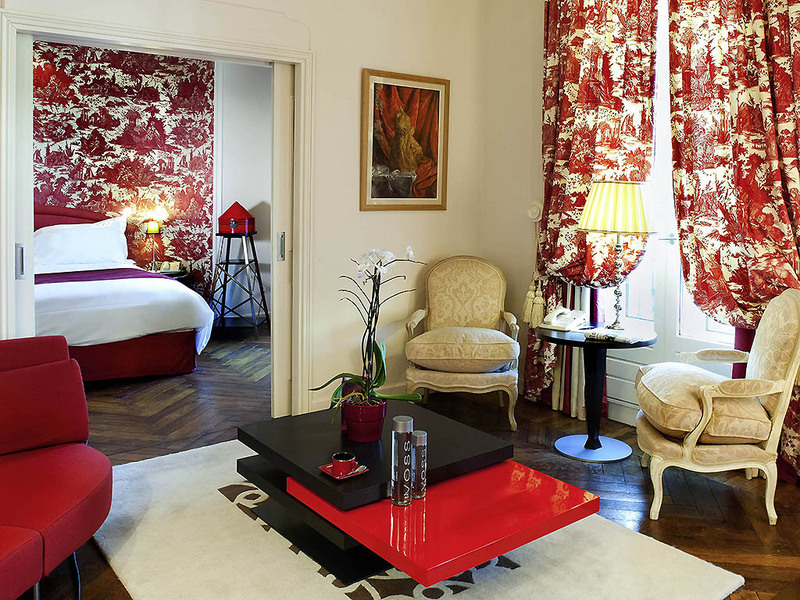 Stay in a room in Lyons designed by Pierre-Yves Rochon, a mix of elegance and eclecticism. Discover the art of French hospitality. Le Royal Lyon MGallery by Sofitel invites you to take a journey through the great tradition of French cuisine. Connoisseurs and home chefs have the pleasure of immersing themselves in a universe of world-class gastronomy. Study at Institut Paul Bocuse to learn the techniques and tricks of the trade directly from master chefs. At "L'Institut" restaurant, chef Cyril Bosviel and his team serve contemporary, relaxed cuisine with delicious flavors that take their lead from local produce in an iconic location representing life in Lyon: Place Bellecour. Here on the Presqu'île (peninsula), you are in the center of the dynamic and historic capital of Roman Gaul. Stroll the alleys and passageways of Old Lyon, between the Saône and Rhône rivers. With its sunny squares and many different districts, Lyon is a typically French city. From the modern architecture of the Confluence district to the narrow cobbled streets of Old Lyon, you can easily explore the city on foot. Feel at home here, in a place for travelers looking to experience the French art de vivre, discreet elegance and naturally generous service. 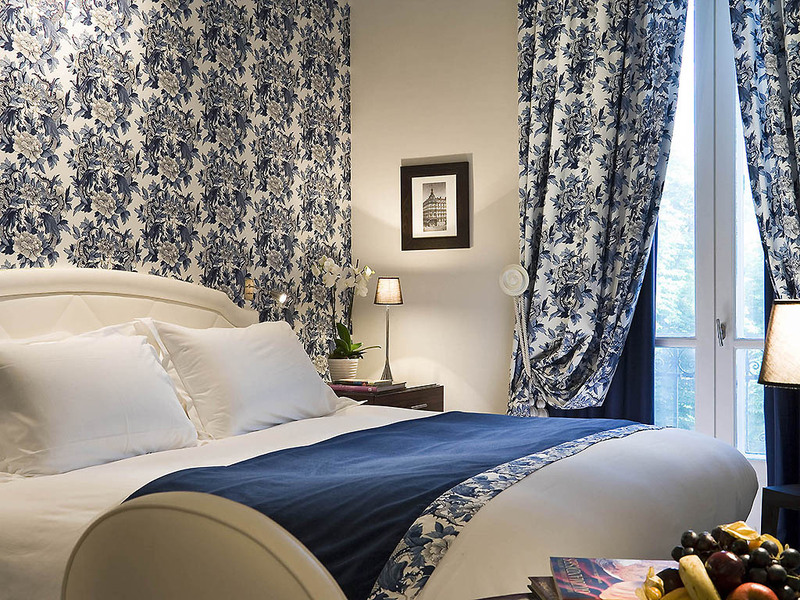 72 rooms, including 10 suites, combining tradition and modernity, where Pierre Frey Toile de Jouy wallpaper and signature Ralph Lauren fabrics welcome you. From the comfort of your Suite, gaze upon the city awakening around you after a night of sweet dreams snuggled under the duvet. 194 sq. ft. (18 m2) - Double room with view of Place Bellecour or Place Antonin Poncet. For a short stay, a great starting place for discovering Lyons on foot. Free WIFI or high-speed wired connection, espresso machine. Bathroom with bathtub. 269 sq. ft. (25 m2) - Double Room on court side for a quiet stay in the heart of Lyon. Free WIFI or high-speed wired Internet, espresso machine. Bathroom with bathtub or shower. 323 sq. ft. (30 m2) - Room with double or king-size bed, view over Place Bellecour or Place Antonin Poncet. Spacious, perfect for long stays. Free WIFI or high-speed wired Internet connection, espresso machine. Bathroom with bathtub or shower. 431 sq. ft. (40 m2) - Circular room with king-size bed. Unique to Lyons. Panoramic view from Fourvière to Place Bellecour. 46" LCD TV, free WIFI or high speed wired Internet connection, espresso machine, bathroom with bathtub and natural light. 430 sq. ft. (40 m2) - The only Junior Suite in Lyons with a view over Place Bellecour. Separate bedroom and living room, 2 LCD TVs (40" and 46"), free WIFI or high-speed wired Internet connection, espresso machine. Bathroom with shower and/or bathtub. Available around the clock, choose a meal to suit your taste and appetite by choosing from the menu available in your room. Tuesday through Saturday, relish the special menu at the L'Institut restaurant. Côté Cuisine sits at the heart of the hotel. It was designed especially for breakfast, helping you to start your day with a smile. The "L'Institut" restaurant invites you to discover the secrets of French cuisine and the art of hospitality. Finish your day at Côté Bellecour. Adorned in red, the music lounge invites you to discover regional wines and spirits, its signature "Lugdunum" cocktail and its re-imagined classic cocktails. Culinary art for all to see. Discover cuisine full of character and enjoy the Pierre-Yves Rochon décor. Our team pulls out all the stops to start your day in style. Côté Cuisine, is an exceptional place devoted to the first meal of the day: breakfast. On the 1st floor, the Gourmets cookery school brings together amateur chefs wanting to learn the tips and tricks of cooking à la française. L'Institut-Restaurant Ecole serves contemporary, relaxed cuisine whose delicious flavors take their lead from regional produce. Choose whatever you feel like from the menu. This space is characterized by transparency. At the culinary school, lovers of gourmet cuisine can discover the tricks of the trade as taught by chefs from the Institut Paul Bocuse. Rediscover culinary classics or discover new seasonal delights. This specially designed breakfast space comes to life from 6:30am. Help yourself to whatever you fancy in the kitchen - fruit salad, Renée Richard dairy products and home-made cakes and pastries. "Côté Bellecour" is a cozy space open throughout the day, with a view of Place Bellecour, the largest square in Lyons. A selection of jazz, swing and classical music plays while you sample a glass of champagne, wine or spirits. The Gourmets cookery school, with its fully modular spaces, is available for your events and can be tailored to your needs. From a simple cocktail party to private lunch or dinner parties, surprise your guests with a voyage of discovery through this unique and original universe in Lyons. A courteous, professional and talented team dedicated to your well-being and comfort. The "Clés d'or" Concierge and his team are here to help you during your stay and advise on restaurants, city visits, events, transport and more!